Islamabad, the capital city of Pakistan, is a region blessed with nature’s beauty and outstanding architecture. Adjoined with Rawalpindi, both of these cities are close by but are poles apart in terms of culture and heritage. Islamabad is termed as one of the most travel friendly tourist destination and is well liked by tourists from not only Pakistan but the world over. Famous for its architectural mosques, well stocked museums and fancy bazaars, Islamabad offers a wide variety of tourist attractions that are sure to leave you spellbound and will force you to extend your stay. Some of the places that you must visit while in Islamabad are Pir Sohawa, Islamabad Zoo, Faisal Mosque and Rawal lake. Islamabad is one place where there is something for everyone, you will find plenty of activities to do, places to visit and foods to eat. Forget about boredom when you are in Islamabad. If you feel like you have run out of things to do, simply head over to one of the museums the city has to offer, pay a visit to the many marvelous mosques, go shopping at one of the many local bazaars or malls or dine out at a restaurant of your liking. For the travelers that fancy galleries and museums, Islamabad houses the Lok Virsa Museum, Pakistan Museum of Natural History and the National Art Gallery, Islamabad. Take a day to visit these beautiful museums and galleries where you will find some great attractions that you simply cannot miss. Despite being the capital city, the shopping scene in Islamabad is second to none. From the wide array of shopping bazaars available, you will find anything and everything in the bazaars and malls of Islamabad. The Centaurus mall, Beverly Center, Chanab Plaza, Kohsar Market, Super market and Jinnah Super are just some of the main shopping hubs that you must visit whenever you are in Islamabad. One of the greatest things about Islamabad is that not only is it a beautiful tourist attraction but it also connects to several other lovely tourist attractions such as Murree, Nathiagali, Bhurban, Rawalpindi, Muzaffarabad and Bahria City. 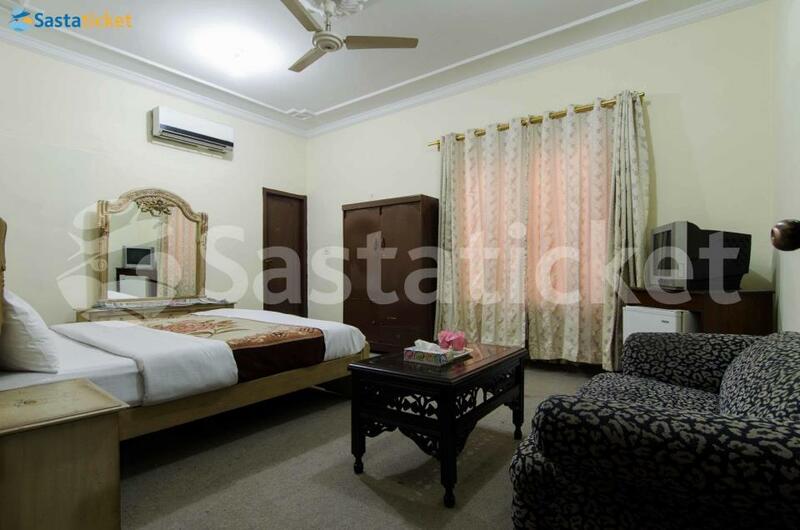 Finding hotels in Islamabad is quite convenient, whether you are looking for a hotel for stay in Islamabad near the airport or near faizabad or even Sitara bazaar, you are bound to find excellent accommodation that is not only luxurious but affordable as well. Islamabad offers a wide range and variety of hotels, whether you are looking for a cheap hotel in Islamabad or a 4 star or 5 star hotel, Islamabad has accommodation options suitable for all types of travelers. Book your hotel now from some of the leading hotel chains in Islamabad such as the 5 star Serena Hotel Islamabad, Ramada Hotel, Hotel De Palazzo and many others. 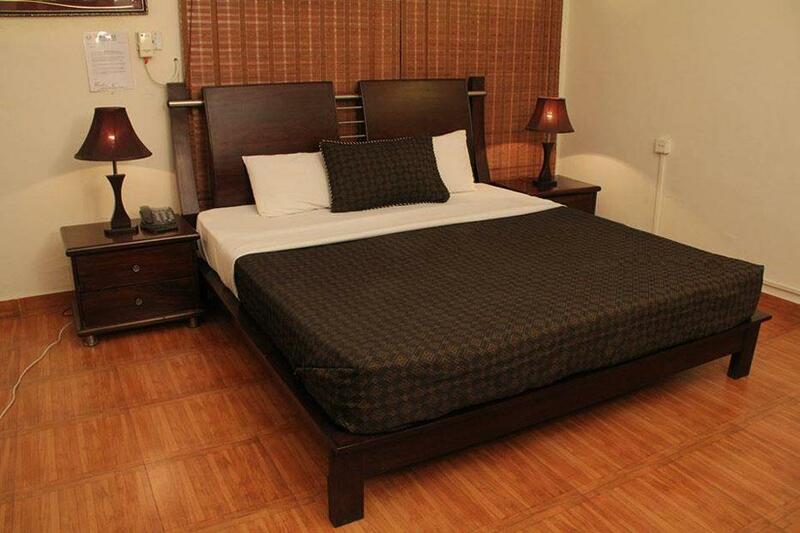 Apex Inn Guest House Islamabad is located at Sector F-7/2, Islamabad. The main F-7 Markaz in only 1.5 km away from the guest house. The guest house is perfect for a cheap family vacations as it boasts a Barbecue place and Water facilities along.. The British Marvi Lodge is a budget-friendly facility located near the famous Centaurus Mall in Islamabad. Featuring all basic amenities, free Wi-Fi access, and hospitable staff this hotel promises to cater a pleasant stay. Room Description Guests can..
Cape Town Guest House is a great accommodation choice with splendid facilities located in the capital of the country Islamabad. This hotel offers luxurious rooms, basic amenities, and efficient services. 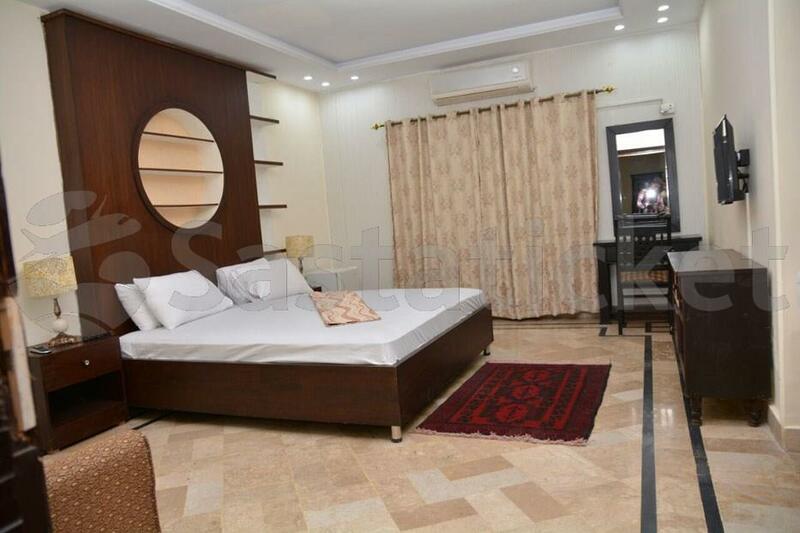 Room Description Multiple types of rooms..
Capri Residency is located in Sector F-6/1, Islamabad. This hotel is a good choice for budget travelers; with standard amenities and hospitable staff guests are expected to have a pleasant time here. 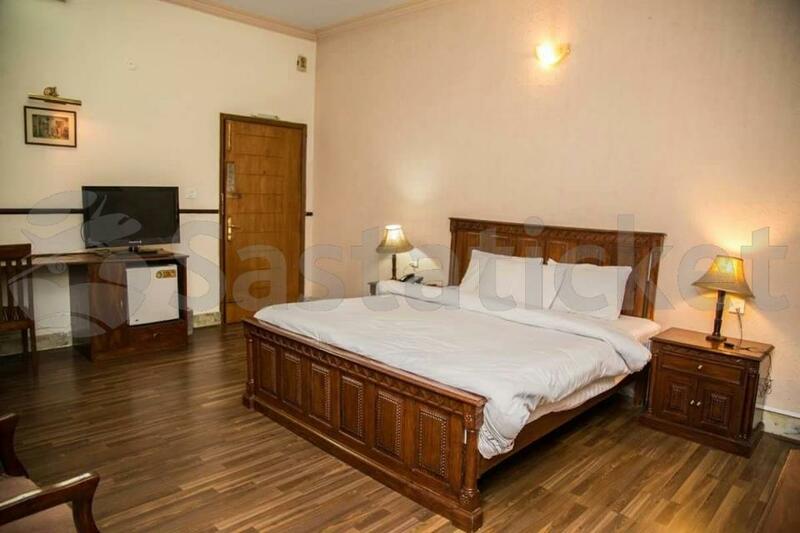 Room Description All the rooms are spacious and..
Casa Blanca, located at Sector F-7 Markaz Islamabad, is a 2 star budget friendly guest house. Guest house offers high speed WiFi facility for both rooms and lobby. 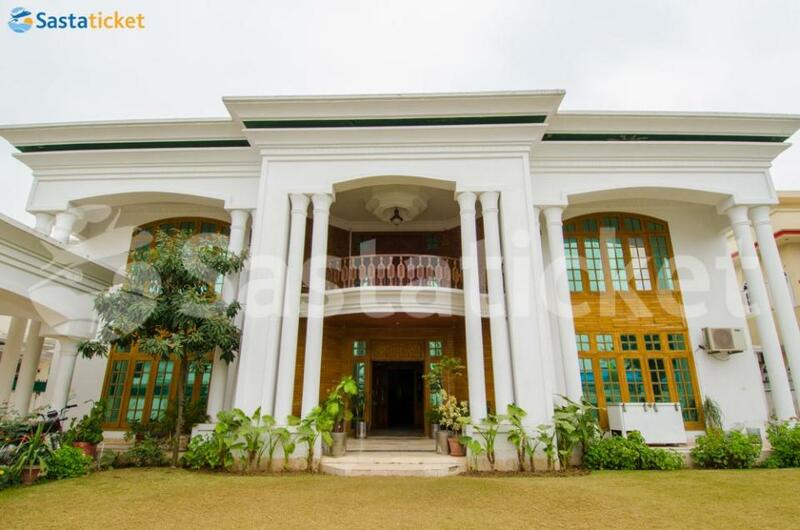 Casa Blanca is an ideal spot for family vacations in Islamabad as it offers a children’s.. The Chancery Executive hotel is located near the Safa Gold Mall in Islamabad. This is a budget-friendly facility that offers all basic amenities and facilities paired with hospitable services. 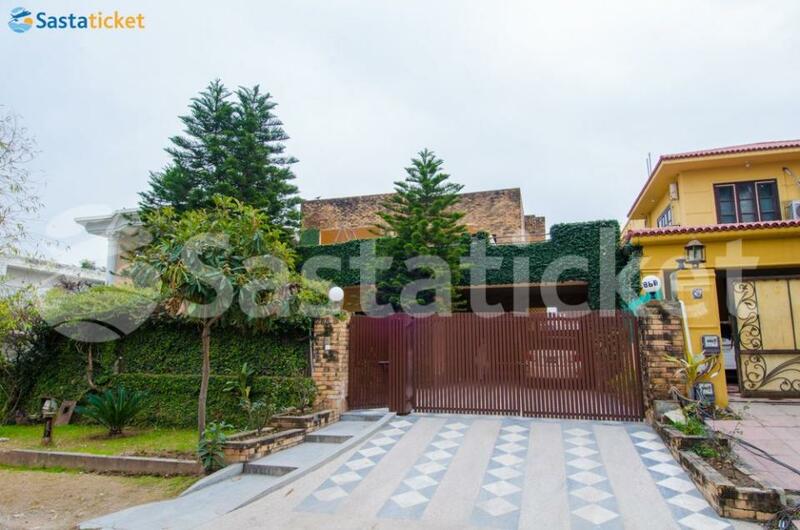 Located in an easily accessible location in the capital, guests.. Situated in the heart of Islamabad, in house # 03, Street # 08, Sector F - 8/3, Corporate Residency Hotel is just a few minutes’ drive away from places like Centaurus Mall, Islamabad International Airport, and Jinnah Super market. Corporate Residency..
Delano Inn is a guest house that re-defines what a luxurious guest house should be and is located on F-10 Markaz in Islamabad. With pleasant rooms fitted with the latest features and amenities, the Delano Inn is ideal for all types of tourists looking..